One of the five largest card issuers in the world, Capital One is likely most recognizable by its longtime tagline, “What’s in your wallet?” Capital One has made its mark on the credit card rewards space with its blackout-free travel rewards program and is changing the way we bank with its Capital One Cafés. Indeed, whether you want to fly without limits or talk money over mochas, there are many reasons to join the millions of Capital One cardholders. Whatever your motivation, when you apply for a Capital One credit card through the online application, your approval status will often be determined in 60 seconds or less. Whether you are approved or denied, the decision will be displayed right on the screen. However, sometimes the automated algorithms used to quickly analyze applicants can’t reach a decision. In these cases, your application is considered to be “pending” until it can be reviewed by hand. In the normal scheme of things, it usually takes around 7 to 10 days for your pending application to go through review and a decision to be mailed out, but it could be several weeks depending on the additional documentation needed. And yes, your decision will be mailed. You’ll need to check your mailbox for the results. 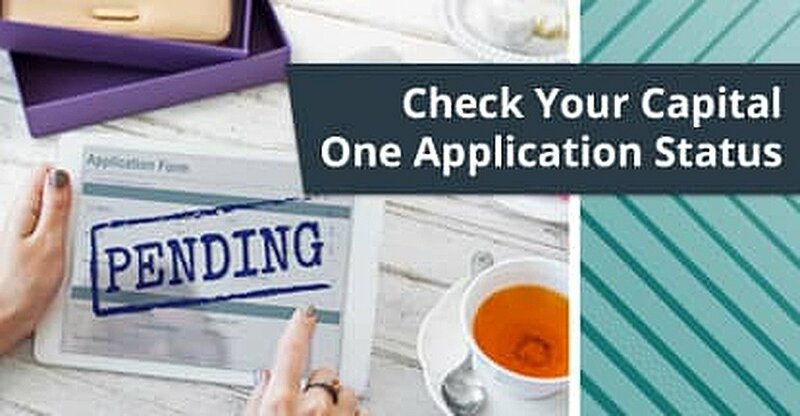 One of the most common reasons for having an application sent to “pending” limbo is the need for verification of some of the information on your application. This can be as simple as clearing up mismatched addresses due to a recent move, or may require sending in additional documentation to verify income or employment status. Those who apply for credit cards frequently may simply need to confirm the application is valid and not fraud. When you call, be sure to have your application ID number or your Social Security number on hand to make it easier for the representative to find your application. You’ll also want to remember that the person on the other end of the line is a person — treat them as such. Being polite can often go a long way toward hastening the process. Unfortunately, if you don’t want to wait for a snail-mail response, the phone number above is your only real option. While odd in today’s digital era, Capital One doesn’t actually offer an online option to check the continuing status of a pending application. Furthermore, Capital One doesn’t offer an online contact form or email address for checking your application status, either. No matter how you get the news, finding out your Capital One application was denied can be disappointing — and, sometimes, a shock. It isn’t always those with poor credit who are denied a Capital One credit card, either. If your credit history is good but not very long, you may be denied a Capital One card. Some applicants also report being denied for submitting more than three Capital One credit card applications within a 30-day period. Whatever the case, your best bet may be to try getting credit from another issuer entirely, as each credit card issuer has its own standards for extending credit. If you are concerned about your approval chances and want to avoid a futile hard credit pull, check to see if you pre-qualify before applying. No matter what type of credit you have — or don’t have, for those just starting out — there is likely a credit card designed for you. See our top-rated cards below to start your search. With a FICO score of 700 or above, you’re considered to have “good” credit by most credit card issuers, and it’s unlikely that your score was the reason for being denied a Capital One card. More likely, your credit history is not long enough, or you have already applied for a Capital One too many times in too short a time period. 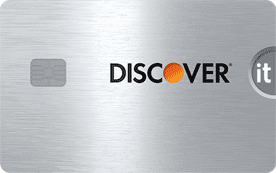 Either way, you’ll probably have better luck by trying for a different card from another issuer. If your FICO credit score falls between 650 and 699, your credit is generally considered to be “fair” or “average.” Depending on which Capital One card you applied for, your credit score may have been the reason you were denied, as many of Capital One’s credit cards require good to excellent credit to qualify. When you have fair credit, your best option is likely to apply for a card aimed at those building — or rebuilding — their credit scores. The lower your credit score, the greater the credit risk you represent. When your FICO score falls below 650, you represent a bad credit risk for many prime credit cards — including most unsecured Capital One cards. 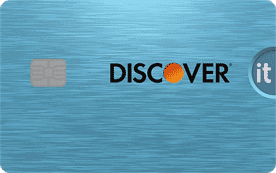 To improve your chances of being approved, try applying for a credit card specifically designed for those whose credit is less-than-perfect, like our top-rated picks below. Anyone who has tried to start a new career is probably familiar with the common Catch-22 of, “you need experience to get a job, and a job to get experience.” A similar truth exists in finance: you need credit to get credit. To starting building your credit history, you need to establish some kind of credit — and to qualify for most types of credit, you need to have an established credit history. Luckily, issuers are not unsympathetic to the plight of the creditless; a number of options exist for those who are just starting on their credit journey. From blackout-free travel to super-modern bistro-banks, there are many great reasons to apply for a Capital One credit card. While it can be nerve-wracking to see the message that your application needs further review, a pending application is better than an instant denial. Many people have reported being approved after calling their issuer to provide missing information or otherwise clarify or verify application data. If you do end up being denied for the Capital One card you were after, changing issuers might be all you need to successfully qualify for a great card. Whichever route you take, always compare your credit options to ensure you get the best terms and options that fit your personal spending habits.